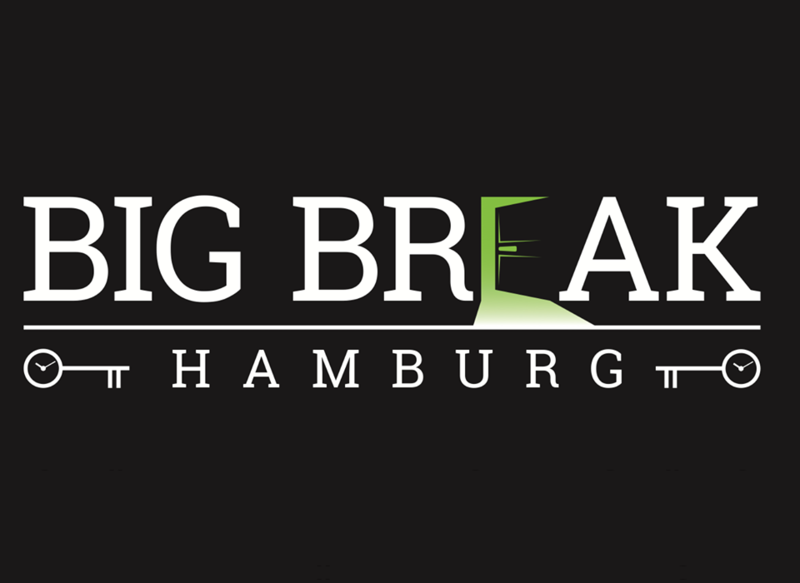 Big Break has an unusual location – right in the heart of what looks like a serious office block. Don’t worry – this isn’t some massively corporate outfit; they’re pretty laid back and very welcoming. Within the building, it’s a split-site venue so, if you do go with a bigger group, be warned that you may not be hanging around together in the waiting area. We played the two newer games here but were also given a walk-through of their Prison Break experience. The two we played were both impressive: the sense of exploration and discovery really stood out alongside good puzzles and great decoration. I’d be hard pressed to choose the better of the two and would recommend, if you have to choose, that you do so based on the theme that sounds more interesting to you. Prison Break looked a little older but was an expansive set which carried the sense of a jail break journey better than any other game I can think of. I wish we hadn’t had the walk-through, because it really looked like a fun experience. Shortly after we played, they got in touch to ask for feedback. Pleasingly, they’d already been working on one weakness that we’d mentioned, and they seemed receptive to the other comments we made. It’s hard to be certain but, from what I could see, they seemed like a company that are continually evolving their games to perfect the experience. Time Travel sees you journeying through the past and the future to put the world to rights after an idiot professor broke history. On your temporal voyage, you take along a communication device which serves the purpose of giving you clues, tracking your time and also giving you brief video interruptions at key points to help enhance the story. Kudos to Big Break for making the person directing you in those videos a woman and joining the 1-2% of rooms I’ve played with a positive female main character. Inside the game, they’d delivered a very pretty experience, with each era being visually impressive and having a very distinct feel. There was just one part that let it down for me, and even then it was a minimalist design choice that I can see others liking. Visual immersion was backed up in other ways too. As previously mentioned, they have short video vignettes to carry the time travel story, but they also use the audio tracks in the room to keep up the tension. One part in particular really enhanced the experience for me. As I journeyed through the set, I couldn’t help but notice they’d made great use of space, really surprising me with some of the transitions and giving a wonderful sense of discovery in the process. The puzzles were generally good too, although there were a few rough edges. For example, a couple felt like slight leaps in logic (although we solved one without a clue, so it obviously wasn’t much of a leap), and another used colour which, combined with yellowish lighting, made the solution hard to determine. However, that was it for weaknesses and, with all its strengths, this is a game I’d recommend. Time Travel was a pretty game, but Insomnia took that one step further. Every space that we went through was beautiful and, on top of that, there was a centrepiece in each that would have been the highlight of most games I’ve played. Looking back, I’m particularly impressed by how different they each were, which helped to give a strong identity to the individual spaces. The transitions and sense of discovery had also been given careful attention: right from the moment you enter the room, they’ve clearly thought of ways to wow their players. The story underlying Insomnia is vague but in a good way – you’re entering into your own dreams to fight the demons of insomnia. Your ultimate goal may not be made very apparent at the beginning, but the room makes it clear as you progress. The game is dedicated to dreams and, as they explain afterwards, you’ll find references throughout to the most common types. I love games with a second level that you can engage with, and this was definitely one of those. The puzzles also impressed. It isn’t a padlock kind of game, so the solutions aren’t generally codes but actions. They made sense, though, and there was only one puzzle where we weren’t confident in our solution. That and one search task were the only places where I considered the game to be a little too hard. I felt we had to investigate the set to a level that was bordering on the destructive (but at least one teammate disagreed…). The game ends on a high, with you performing a small piece of theatre to bring a good sense of closure to the experience.